One of the best ways to prepare a coffee with fuller flavor and aroma is through the pour over method. It is known for offering better extraction, resulting in a high-quality caffeine fix. To make the best pour over coffee, however, there is one thing that needs attention – the grind of the beans. Even professional baristas would agree that a coarse grind is the best. A medium grind will also work. You should never use a fine grind. Because of the importance of the grind of the beans, it is apparent that you should invest in the best coffee grinder for pour over coffee, including those that will be briefly reviewed in this post. Burr vs Blade: Which is Best for Pour Over Coffee? Ready to get started? Below are some of the brands and models that should be on your radar and the reasons why they are great picks. It does not matter even if you are a novice in making coffee. This equipment will make things easy! There is a knob on the side that will allow you to easily pick the grind size. 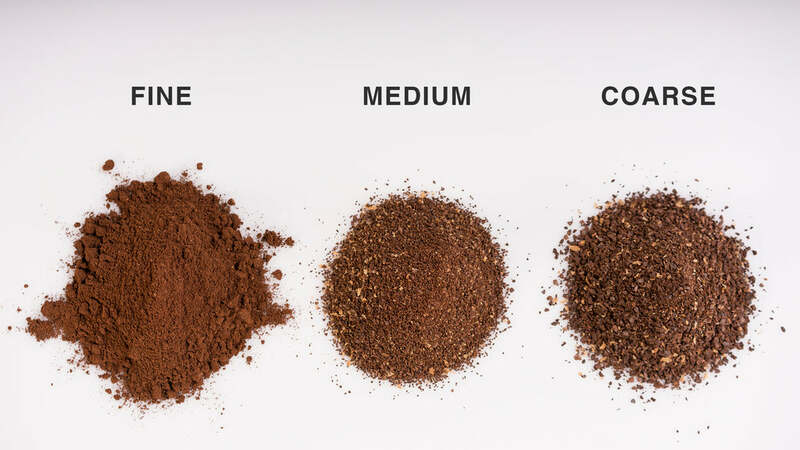 Meaning, you can use it not only for pour overs, but even for Aeropress or for espresso, depending on the chosen grind size. This is not only for beginners, but also for those who are looking for a budget-friendly alternative. It is an entry-level grinder, but this does not mean that the quality and the performance are compromised. Looking at its components, one worth highlighting is the high-carbon stainless burr, which is 40mm thin. This makes sure of the consistency in every grind, making your coffee taste better. To make it versatile, there are 40 individual grind settings. Regardless of how fine or coarse you want the grinds to be, this tool can extend a helping hand. The low RPM motor of the grinder is also a plus. This means that it will grind slowly and without generating too much heat. This preserves the natural oils and flavor of the coffee. Similar to the product that has been mentioned above, this is another option that is perfect for those who do not want to spend a lot. Despite the affordable price, however, it is well-designed. It is sleek, making it perfect even for small spaces. In terms of its construction, the burrs are made of commercial grade-steel, providing an assurance that they will be able to withstand the test of time. The bean container, on the other hand, is large enough with a maximum capacity of 8.8 ounces. It is transparent, which will make it easy to know if there is a need to have it refilled with a new batch of beans. Meanwhile, the holder for the ground coffee has a capacity of 4 ounces. The burrs that are incorporated in this machine are hard to match. They have been hand-assembled in Switzerland, providing an assurance of its precision. They are also computer-controlled. To add, there is a multiple gear motor that grinds the beans slowly. You will also love the fact that there are 16 grind settings, offering the ultimate versatility. The brand name of this product is more than enough to convince you to have it chosen over its competitors, despite the fact that it is quite expensive. The price, however, can be easily justified by the performance of this grinder. Making pour over coffee will be a lot easier and quicker with the use of this product. It offers versatility since there are 60 grind settings available. Whether it is for French Press or espresso, not just for pour overs, this electric grinder will be a great choice. This model comes with an intuitive control panel and LED display to make it user-friendly. The display will show everything that you need to know, including the grind time and setting. It also has Precision Digital Time, which is the one responsible for adjusting and programming the time in an increment of .2 second to ensure the right dose all the time. This is another top pick if you are looking for an economical option. The main difference from the products mentioned above is the fact that this is a manual grinder. This coffee grinder comes with a stainless steel body, which is hard to match in terms of durability. The body is also static-free. It has a diameter of 47 mm and a height of 130 mm. Meanwhile, in terms of its capacity, it can hold as much as 20 grams. More so, there is a silicone handle that is easy to grip and rotate as you grind the beans manually. It is a powerful and lightweight grinder that you can take with you anywhere! It won’t be too much of a burden since it is sleek. The model comes with a grind adjustment knob, which will allow you to choose from over 12 grind settings. It has ceramic burrs that will grind the beans depending on how fine or coarse you want it to be. This equipment will allow users to crush whole beans in no time and without having to exert a lot of effort. Thanks to its stainless steel conical burrs, you can preserve the oils and the flavors of the coffee even after grinding. It also maintains the consistency of the grind depending on the setting that has been chosen. With the options for customization, you can choose from 14 coarse grind settings that are available. The solid build of this grinder is one thing that has been praised by many of its users. It has a borosilicate glass container that catches the ground coffee. Aside from being durable, it is also well-loved by many because it is static-free. At the bottom of the unit, there is a friction clutch that will prevent it from slipping. The decision on whether to choose a blade or burr grinder is one of the first dilemmas that will confront buyers. If you want to make a high-quality pour over coffee at the comfort of your own home, a burr grinder is definitely the better option. A burr is known for its uniform rotation, providing a more consistent action. It also does not spin too fast, which allows the flavors to be retained because of the lack of heat. Blade grinders, although affordable, are not recommended. The grind size will most probably end up inconsistent. It also gives the coffee a scorched taste because of the heat that is generated by the blades. 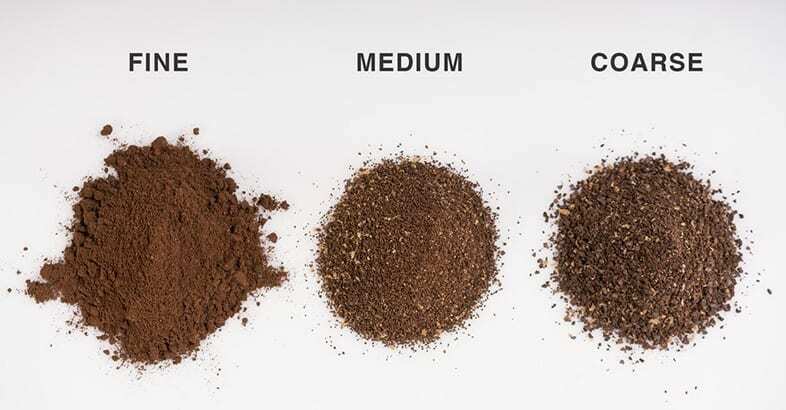 Aside from the type of the grinder or the mechanism by which it works, the right grind size is also an important consideration as it will have a direct impact on the overall quality of the caffeine fix that will be made. Basically, the best choice would be one that can make medium to coarse grind. A fine grind is never recommended for a pour over. If you use coffee grounds that are too fine, there is a risk of over-extraction, which will result in an unpleasant flavor. Manual or Electric: Both will be great. If you are looking for a budget-friendly alternative, a manual hand grinder will be best. On the other hand, if convenience is more important for you, an electric grinder is a perfect choice. Grind Settings: It will be good to choose a grinder that offers versatility. Meaning, you must be able to adjust the grind settings. This way, you can use it not only for pour overs, but even for espresso and other types of coffee-based drinks. Capacity: Look at how much beans and ground coffee it can hold at a given time. The right choice will depend on individual needs and the space available at home or anywhere the grinder will be used. With the use of the best coffee grinder for pour over, including those that have been mentioned above, you can quickly and easily prepare a caffeine fix with robust flavor and aroma. No more need to buy pre-ground beans. You can grind the beans on your own using a reliable grinder that does not remove the natural oils from the beans.